The Fed raised interest rates for a 14th straight time, cautioning borrowing costs may need to move up and hinting a 19-month rate rise campaign was near an end. Altria Group Inc. posted higher fourth-quarter profit but forecast a decline in 2006 earnings due to restructuring charges at its Kraft Foods business, the stronger dollar and lower income from Spain. Hilton Hotels Corp.'s earnings soared 62 percent for the fourth quarter, trumping estimates, fueled by strong demand which led to higher room rates. Napster Inc. saw its shares shoot up more than 30 percent after the New York Post reported that Web search giant Google Inc. was in talks to acquire the struggling L.A.-company. Google denied the report. Wages and benefits paid to civilian workers rose last year by the smallest amount in nine years, the government reported Tuesday. The NYSE filed disciplinary actions against Wedbush Morgan Securities for failing to submit accurate trading data, making misstatements to regulators and refusing to cooperate with an investigation. Los Angeles World Airports reports that in 2005 Los Angeles International Airport broke passenger volume and air freight records, and other briefs about L.A. companies. In-N-Out Burgers Inc. terminated Corporate Vice President Richard Boyd and removed him from its board Tuesday following a months-long dispute with the heirs of company matriarch Esther Snyder. Gov. Arnold Schwarzenegger appointed former U.S. Treasurer and Huntington Park Mayor Rosario Marin as his new Secretary for State and Consumer Services. Countrywide Financial Corp. on Tuesday said fourth-quarter earnings rose 73 percent as loan volumes and revenue increased, but earnings and revenue came in under estimates. Americans became more optimistic about the economy in January, sending consumer confidence to the highest level in about three and a half years. Stocks fell after the Fed, raising interest rates for the 14th time in two years, failed to give Wall Street a clear signal on when the rate hikes would end. An overview of business stories from today's newspapers. For years competitors have wished that City National Plaza were fully leased. Thanks to Thomas Properties Group Inc., their wish may be coming true. What would it take to get you to shell out $300 to $500 dollars for a next-generation digital radio? Colony Capital LLC, an L.A.-based real estate investment firm, and a company owned by Saudi Prince Alwaleed bin Talal agreed to purchase Fairmont Hotels & Resorts Inc. for $3.9 billion. L.A. City Attorney Rocky Delgadillo has filed a civil lawsuit against video game publisher Take-Two Interactive Inc., maker of the video game "Grand Theft Auto: San Andreas." Steel magnate Lakshmi Mittal launched a diplomatic offensive Monday to answer misgivings about his company's $22.5 billion bid for rival Arcelor SA. Demand for private schools in Los Angeles is skyrocketing, with nearly two dozen independent schools expanding or modernizing their campuses. Walt Disney Co. shareholders are heaping praise on Robert Iger and his $7.4 billion deal to acquire Pixar Animation Studios and Steve Jobs in the process. Forest Lawn is among those in the industry adopting new strategies to avoid getting buried by the competition as customers opt for cheaper solutions. The appointments and promotions of the movers and shakers of L.A.'s business community. The decision to disband and merge the struggling WB and UPN networks looks like it might turn into a rare windfall for the Tribune Co. The purchase of Albertsons Inc. included a hidden jewel: Bristol Farms, the chain that Albertsons bought as part of its attempt to penetrate the region's growing high-end, specialty food market. As the new vice president of sponsorship sales for the House of Blues, Bill Benjamin faces a different kind of challenge than he did in the world of sports. Mayor Antonio Villaraigosa points to several successes on the economic development front, and expects to keep pressing for progress. IdeaForest.com survived the dot-com shakeout and is now thriving, thanks to a shift in sales strategy that has led to profitability in the crafts sector. When you fill up your gas tank, you know you're paying a lot for the high cost of oil, but you're also paying a lot for something you may not have thought of: Taxes. Viral video, the informal spreading of clips via e-mail and on the Web, is not only launching new careers in entertainment, but it's beginning to redraw the Hollywood landscape. Los Angeles County last year turned in its best jobs performance since early 2001, creating 50,000 payroll jobs and nearly three times that in total jobs. Officials with the Los Angeles Memorial Coliseum and the National Football League are expected to finalize a lease deal this week to clear the way for a football team to return to L.A.
Shoe Pavilion Inc. is on the move both geographically and financially. Exxon Mobil Corp. on Monday reported a quarterly profit of $10.7 billion, capping a year of record earnings dominated by surging oil and gas prices. Stocks finished a lackluster session mixed Monday as investors made few moves ahead of the Federal Reserve's decision on interest rates. Seven for All Mankind LLC is all about the perfect fit. But its chief executive, Andreas Kurz is abruptly stepping down. Inventive, new products from Los Angeles-area companies. Despite tepid box office numbers, equity firms have never been more fascinated with film, judging from a rush of financing deals. A little beachside law firm played the key role in a big settlement with Sempra Energy, which could result in millions of dollars for the partners. A state appellate court on Monday put on hold a regulatory plan requiring L.A. County cities to step up efforts to keep trash from entering the L.A. River, saying more environmental review was needed. Consumer spending shot up 0.9 percent in December as shoppers dipped into savings or tapped assets to make purchases, a government report said Monday. Los Angeles-area companies receiving venture capital funding in the fourth quarter included telecommunications and computer-related firms, plus promising biotech and consumer product enterprises. People across L.A. tell us how they do what they do. Short takes on companies in and around Los Angeles. Mattel Inc.'s shares rose more than 7 percent Monday after the toymaker reported lower fourth-quarter earnings that nevertheless beat analysts' expectations. The Sheraton Gateway Hotel LAX is under contract to be sold, and several other nearby large hotels could follow in one signal of a post-9/11 rebound. The average price of a gallon of self-serve regular gasoline in L.A. soared after it fell slightly last week following two consecutive weeks of increases, rising 10.1 cents to $2.536 for the week ended Jan. 30. Eastman Kodak Co. reported its fifth consecutive quarterly loss but beat estimates. For the first time, the company generated more sales from digital imaging than from film-based technology. As advertisers struggle to develop business models for the technologically driven new media options, there remains one constant: eyeballs must be counted. Some Walt Disney Co. shareholders may try to oust Chairman George Mitchell from the board, Gemstar-TV Guide International Inc. inks an agreement with Cox Communications Inc., and other briefs about L.A. companies. Ralphs Grocery Co. pleaded not guilty to charges the grocery chain illegally rehired locked-out employees under fake names and Social Security numbers during a months-long labor strike that began in 2003. Alberto Alvarado was brought up in Boyle Heights and made it into Stanford Law. 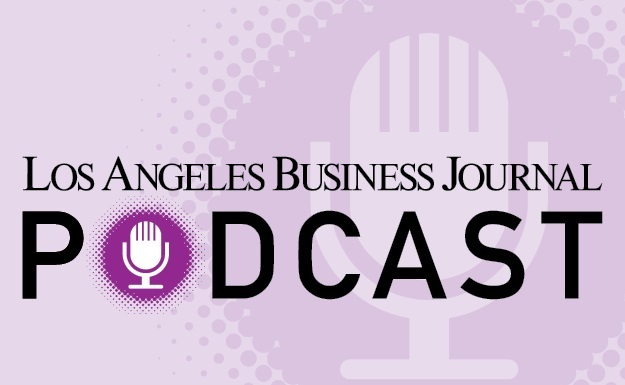 He's now the head of the SBA office in L.A.
Four veteran attorneys have joined forces to launch an entertainment law firm. The impact of the Disney-Pixar deal may be felt throughout the entertainment and technology industries. L.A. gas prices rose past the $2.50 mark as motorists endured the fourth consecutive week of increases at the pump, said the Automobile Club of Southern California. New-home sales for all of 2005 climbed to an all-time high, marking the fifth year in a row of record sales. The Sheraton Gateway Hotel LAX is under contract to be sold for nearly $82 million, and several other nearby large hotels could follow in one signal of a post-9/11 rebound. Mittal Steel Co. announced a surprise $22.8 billion offer for rival Arcelor SA, a deal that would unite the world's largest steelmaker with its closest rival. The economy grew at only a 1.1 percent annual rate in the fourth quarter, the slowest pace in three years, but registered respectable overall growth of 3.5 percent for all of 2005. Chevron Corp. on Friday reported fourth-quarter profit rose 20 percent on strong energy prices but fell short of Wall Street forecasts. Strong earnings reports sent stocks soaring for a second straight session Friday as investors shrugged off slow growth in the nation's GDP. L.A. City Attorney Rocky Delgadillo has filed a civil lawsuit against New York-based video game publisher Take-Two Interactive Inc., maker of the popular video game "Grand Theft Auto: San Andreas." Northrop Grumman lost its bid on a nine-year, $2 billion contract to Lockheed Martin, the Air Force said Friday. The contract was for the military's Space & Missile Systems Center at the L.A. Air Force Base. Demand for U.S. durable goods rose in many sectors last month, and new claims for jobless aid rose slightly last week but were below forecasts. OfficeMax Inc. on Thursday said it would close 109 underperforming U.S. stores, including six in California and three in L.A., as part of its turnaround plan to strengthen company performance. MGA Entertainment partners with mobile network company Ztar Mobile to launch the first Bratz-branded mobile phone, and other briefs about L.A. companies. Amgen Inc. said on Thursday its fourth-quarter earnings rose 20 percent on sales of its arthritis and anemia drugs, but results missed estimates by a penny, sending its stock falling nearly 5 percent. General Motors Corp. said it lost $4.8 billion in the fourth quarter and $8.6 billion in all of 2005, dragged down by losses in its North American division. Transaction processing company First Data Corp. said it plans to spin off its Western Union consumer payments business as a separate public company. Positive earnings reports renewed confidence Thursday and sent the major indexes higher as investors shook off a loss posted by General Motors Corp.
Caterpillar Inc. reported stronger-than-expected quarterly earnings on Thursday, citing "unprecedented customer demand" for its products. Wilmington faces a full-scale effort to revitalize its waterfront. Plans for the $120 million project include parks, retail, walkways and transportation along a swath of land once tagged for port expansion. Boston Scientific Corp. said it was acquiring Guidant Corp. for about $27.2 billion, ending a bidding war against Johnson & Johnson for the heart device maker. Microsoft Corp. said it would offer licences for some of its source codes in a bid to comply with antitrust requirements set by the European Commission. FirstFed Financial Corp., East West Bancorp Inc. and Foothill Independent Bancorp were among the companies that reported earnings Wednesday. Sales of existing homes set a record for a fifth straight year in 2005 even though the year ended on a weaker note with three straight monthly declines. Billionaire Kirk Kerkorian's Tracinda Corp. brought its stake in General Motors Corp. back to 9.9 percent after reducing it to 7.8 percent in December, according to a regulatory filing on Wednesday. Stocks fell Wednesday as declining oil prices sent the energy sector lower and investors continued their jittery reactions to corporate earnings. The median price of an existing home in the L.A. region rose sharply in December from the year-earlier period but dipped from November as homes sales continued to decline across the region. Walt Disney Co. shareholders on Wednesday asked Delaware's high court to reverse a ruling that found directors did not breach their duty when awarding Michael Ovitz a $130 million severance package. ConocoPhillips on Wednesday beat expectations by reporting a 50 percent jump in fourth-quarter profit, carried along by soaring oil and gas prices. Lions Gate Entertainment Corp. says it will sell its North Vancouver, British Columbia, studio facilities to Bosa Development Corp. for $36.1 million, and other briefs about L.A. companies. Johnson & Johnson posted an unexpected fall in revenue, as a drop in drug sales overshadowed gains in medical devices and consumer products. Stocks rose moderately for a second consecutive session Tuesday on strong earnings at United Technologies Corp. and McDonald's Corp. The board of Walt Disney Co. has authorized Chief Executive Robert Iger to make an offer to buy Pixar Animation Studios Inc., and that is expected by Tuesday, Reuters reported. Northrop Grumman Corp. said on Tuesday quarterly profit rose 22 percent, despite flat revenues, boosted by sales of surveillance planes and missile systems, which offset a sales decline in its ships division. CBS Corp. and Warner Bros. Entertainment announced plans to shutter the UPN and WB networks to form a new fifth broadcasting network called The CW, to be launched in the fall of 2006. Chain store sales rose in the third week of January on post-holiday bargain-hunting and gift-card redemptions, a report said on Tuesday. DaimlerChrysler AG will cut 6,000 administrative jobs to save more than $1 billion a year and make the automaker leaner and simpler to run. Amgen Inc. continues its drive to expand its manufacturing and development capacity outside the high-cost L.A. area, announcing a new manufacturing facility in Ireland among several global initiatives. Jacobs Engineering Group Inc. said on Tuesday that its first-quarter profit rose more than 49 percent, sending its shares to a 52-week high. Oil prices fell Tuesday, consolidating after last week's gains despite concerns about oil supplies in view of Iran's nuclear ambitions and attacks in Nigeria. Avery Dennison Corp. said on Tuesday that it fell to a fourth-quarter loss due to charges of $98 million related to company restructuring and divestitures. Walt Disney Co. agreed to buy Pixar Animation Studios Inc. in an all-stock transaction worth $7.4 billion. Pixar Chairman and Chief Executive Steve Jobs will be appointed to Disney's board. The office-to-residential conversion trend that recycled underperforming downtown inventory extended its reach into the Wilshire Corridor in the fourth quarter of 2005. The Quisenberry Law Firm recently negotiated a $2 million settlement with Abercrombie & Fitch Co. for overtime of 250 store managers in the state of California. An affiliate of Los Angeles private equity firm Leonard Green & Partners LP has agreed to buy Sports Authority Inc. for $1.3 billion and take the country's largest sporting goods chain private. Emmett IPO Percolates, but Will It Hit a Full Boil Soon? Douglas Emmett's IPO has been in the works for a while. The company, which is best known for its extensive property holdings on Ventura Boulevard, may be ready to launch or may need more time. An economist's study suggests that property values would rise if L.A. became home to an NFL franchise. As 2005 Ended, Some Billion-Dollar Deals Went Down in L.A.
As 2005 drew to a close, L.A. was home to five mega-deals with values topping the billion-dollar mark. Ted LeCouteur's company designing and making batons and swords for performers catches fire. Developer Wayne Ratkovich has decided to sell his mixed-use office campus the Alhambra, which sources said could fetch around $200 million. Chapman University's Anderson Center forecast predicts L.A.'s housing market will turn negative by mid-year, with home prices dropping an average of 5 percent by year's end. Gemstar-TV Guide's former CEO Henry Yuen withdrew his guilty plea Monday to charges he destroyed evidence after a federal judge said he wouldn't approve the terms of the agreement, Bloomberg News reported. Innovo Group has sent its chief executive packing. The jeans maker, under interim leadership, will now consider the possibility of a sale. Making up for lost time, downtown's Class A landlords pushed average rental rates to $2.70 per square foot in the fourth quarter as the area continued to strengthen. Some comic book characters are making it to the big screen without benefit of tights, capes or super powers. Stocks rose as investors sought out bargains after last week's selloff and disappointing financial-sector earnings raised concerns about corporate profits. Word from inside the Los Angeles Angels front office is that Los Angeleno Arte Moreno of Anaheim has all but wrapped up his high-stakes name game. When it comes to office space in the Tri-Cities market, Burbank and Pasadena are hot and Glendale is not. It was the year of the office market in Los Angeles County in 2005, and the fourth quarter did nothing to counter that notion. Ford Motor Co.'s earnings rose 19 percent, boosted by strength in its finance arm and the sale of its rental car unit, even as its core automotive division lost money. The average price of a gallon of self-serve regular gasoline in L.A. fell slightly after two consecutive weeks of increases, slipping fourth-tenths of a cent to $2.435 for the week ended Jan. 23. When the economic recovery in recent years failed to create jobs at traditional workplaces, many Angelenos didn't just sit on their idle hands. They became entrepreneurial. The Inland Empire continued its heated growth last quarter and showed no signs of slowing down as construction increased to meet demand. Higher office occupancy, particularly in Westwood, boosted rental rates in 2005's fourth quarter as the Westside continued to rebound from the post-tech doldrums. Flush with nearly $20 million in new capital, nanotechnology firm Arrowhead Research Corp. will increase its investments in several universities and look to add partners. Citadel Broadcasting Corp. is now in exclusive negotiations with the Walt Disney Co. to buy the Burbank giant's ABC Radio unit, in a deal that could reach $3 billion, Reuters reported Monday. Descriptions of L.A.'s real estate investment trusts. When plush toy manufacturer Aurora World Inc. refers to animals, it's usually of the stuffed variety, but now the company is getting involved with the living kind. Albertsons Inc. on Monday said it agreed to sell the company to a consortium of investors that had previously submitted an offer, in a deal worth about $9.6 billion in cash and stock. Nike Inc.'s CEO William Perez resigned over differences with company founder Philip Knight and was replaced by Mark Parker, co-president of the Nike brand. Firms looking to cash in on the housing boom in Valencia kept the North Los Angeles County real estate market percolating in the fourth quarter. New laws regarding medical peer review are making it a booming area for legal practice. The transformation of Hollywood continued in the fourth quarter, as more office buildings were slated for conversion to residential uses and large, mixed-use projects consumed much of the remaining empty land. A closely watched gauge of future economic activity edged higher in December, a smaller-than-expected rise that could portend uneven growth in the year ahead. Efforts by Los Angeles to host the 2016 Summer Games have stalled, despite the backing of the business community. Oil prices pulled back Monday in sympathy with a sharp decline in natural gas futures. Surging demand for warehouse space near the ports has created an unusual situation for the South Bay: The industrial vacancy rate is so low companies are having a tough time finding space. Local real estate trusts find themselves in a puzzling situation: high property values mean their portfolios are worth more than their companies. That could make them targets for takeovers. Marc Friedland's Creative Intelligence Inc. specializes in event branding, which combines marketing strategies and design elements to make big happenings memorable ones. Jim Thomas has held firm to the corporate model, and sticks to the basics: buy buildings and add value by fixing them up. More than four years of management efforts to dig out from an ambitious national expansion that went awry appears to be paying off for shareholders of SCPIE Holdings Inc.
Ventura County's commercial real estate market ran up some impressive numbers in the final quarter of 2005. Industrial space in the San Gabriel Valley stayed tight in the fourth quarter, continuing a trend seen the past several years one that highlights a shortage of land available for new development. Business from the L.A. and Long Beach ports pushed activity in the Mid-Cities industrial market in the fourth quarter, driving the vacancy rate close to the lows seen during the technology boom. A proposed bond issue may signal an extended boom period for local engineering and construction firms. But there is some concern that the industry is already stretched too thin. Insurance Commissioner John Garamendi cites delays in the settlement of consumer claims by the Los Angeles-based insurer resulting in 1,000 violations of the state insurance code. Robert Bonner has returned to private practice after serving as head of the U.S. Customs Service. He's brought some strong opinions about border security with him. The National Lampoon Radio Hour is being resurrected at an L.A. studio for a variety of AM, FM and satellite formats geared toward today's highly segmented radio market. Plunging vacancy rates usually mean a hot market with lots of activity, but there's been little movement in the San Fernando Valley. L.A. gas prices have risen for the third straight week, but at a slower rate, indicating that pump prices may be reaching a temporary plateau, said the Automobile Club of Southern California. Oil prices zoomed to a four-and-a-half month high above $68 on supply fears tied to Iran's tense diplomatic standoff with the West over its nuclear ambitions. L.A. County's unemployment rate jumped to 5.5 percent in December as more people entered the local workforce, but the county also eked out a gain of 14,000 payroll jobs in December from November. A potential deal for private equity firm Blackstone Group and computer maker Hewlett-Packard Co. to acquire Computer Sciences Corp. appears to have fizzled, Reuters reported. Citigroup Inc. said its profit rose 30 percent in the fourth quarter on strength in its international operations and a gain on the sale of its asset management business. Albertson's Inc. on Friday confirmed that it received a new bid to purchase the entire company from a consortium that had previously submitted an offer, in a deal that has been valued at about $9.6 billion. Lackluster earnings reports from General Electric and Citigroup sent stocks plunging Friday, giving the Dow its biggest single-day percentage decline since April. General Electric Co. reported Friday its fourth-quarter profit fell 46 percent as it absorbed nearly $3 billion in losses as it sold most of its insurance business. Morgan Stanley is in serious talks to buy a controlling stake in institutional money manager BlackRock Inc., financial news network CNBC said Friday. Construction of new single-family homes surged to an all-time high in 2005 but construction activity fell sharply in December. The number of U.S. workers making new claims for unemployment benefits fell unexpectedly last week to the lowest level in nearly six years. Energy futures prices were mixed after a petroleum supply snapshot showed rising supplies of oil and refined products. The market remained tense over the Iran and Nigeria. Former Credit Lyonnais Chairman Jean Peyrelevade pleads guilty to settle charges he made false statements to regulators related to the bank's purchase of Executive Life Insurance Co. over a decade ago, and other briefs about L.A. companies. Merrill Lynch & Co. Inc. said quarterly earnings rose 25 percent as surging revenue from retail customers and the firm's own investments helped it beat expectations. Walt Disney Co. is in "serious discussions" to buy Pixar Animation Studios Inc., after months of exploring ways to continue their distribution partnership, The Wall Street Journal said Thursday. Stocks on Thursday regained ground they lost a day earlier after a bright first-quarter outlook from Advanced Micro Devices and upgrades of oil services stocks. The economy chugged ahead as the new year opened with manufacturing picking up, employment improving and retail sales rising, the Fed reported. Burlington Coat Factory Warehouse Corp. agreed to be bought by affiliates of private equity firm Bain Capital Partners LLC for around $2.06 billion. Jakks Pacific Inc. said Wednesday it agreed to acquire the assets of privately held Creative Designs International Ltd. and a related Hong Kong company for $116.5 million in cash and stock. National Clearing Corp., its parent company, J.B. Oxford Holdings, and three former executives agreed to settle charges they defrauded investors with a late-trading and market-timing scheme, the SEC said Wednesday. Reliance Steel & Aluminum Co. will buy Earle M. Jorgensen Co. for $650 million in cash and stock, a deal that will add 39 metal processing facilities and sharply increase its annual revenue. Mercury General doubles its estimate of losses caused by Hurricane Wilma, Mattel says about 614,000 Laugh & Learn musical chairs are being voluntarily recalled due to a strangulation hazard, and other briefs about L.A. companies. Disappointing tech sector earnings set off a second day of selling on Wall Street Wednesday. The Nasdaq bore the brunt of investors' concerns. L.A.-area housing prices will drop this year and the local and national economies will slow, according to a forecast released by Chapman University's Anderson Center for Economic Research. JPMorgan Chase & Co. said quarterly earnings rose as a gain from a business sale offset credit card losses and disappointing trading results. Oil prices rose on worries that possible sanctions against Iran over its nuclear ambitions and political unrest in Nigeria could threaten global oil supplies. Consumer prices rose by the largest rate in five years in 2005, reflecting a surge in energy costs, although other prices remained well-behaved. U.S. industrial output posted a solid increase in December as recovery in production of Gulf Coast oil and gas wells offset a slump in auto manufacturing. Image Entertainment raises its third-quarter revenue outlook but lowers its 2006 revenue guidance, Platinum Equity acquires Boyd Coddington specialty wheels, and other briefs about L.A. companies. Oil prices charged to a three-and-a-half month high above $66 Tuesday amid growing unease about the possibility of sanctions against Iran because of its nuclear ambitions. Hilton Hotels Corp. launched a new luxury hotel line Tuesday called "The Waldorf=Astoria Collection" that builds on the cachet of the renowned New York hotel. The line will debut on Jan. 31. Stocks skidded Tuesday as oil prices rose past $66 a barrel and Wells Fargo & Co. and other bank earnings disappointed the market. The average price of a gallon of self-serve regular gasoline in the L.A. area rose for the second consecutive week after 13 weeks of declines, climbing 11.8 cents to $2.439 for the week ended Jan. 16. Yahoo Inc.'s fourth-quarter profit nearly doubled as advertisers continued to shift spending to the Internet, but it wasn't enough to live up to the lofty expectations for the Web's most heavily trafficked destination. Guidant Corp. abandoned its support for a $24.2 billion acquisition bid from Johnson & Johnson in favor of Tuesday's far richer $27.2 billion offer from Boston Scientific Corp.
Jiggerbug does for the world of audio books what Netflix did for DVD rentals. Retail sales are projected to increase 4.7 percent this year, much less than the 6.1 percent gain in 2005 as higher energy prices, a shaky labor market and a slowdown in the housing market dampen spending. The masses of one-armed bandits on big and small screens are provided by El Segundo's L.A. Slot Machine Co. Inc. Its slots have been used in films including "Ocean's Eleven," as well as TV shows. Joker Brand has managed to work its way into the urban wear market, building itself into one of the larger Latino brands, though East Coast labels still dominate. Rising energy costs and a slowdown in the housing market could mean subdued retail sales growth in 2006, the National Retail Federation said in its quarterly retail sales forecast. Wal-Mart Stores Inc. has canceled plans to build a store in Northridge, citing concerns over rising development costs, community opposition and demands for an environmental impact report. Like thousands of L.A. newcomers before me, I did something frightening: I went house hunting last week. Workers' comp insurance rates have plunged, but not enough for businesses, and Democrats say that permanently injured workers have seen too sharp a benefit cut. Doctors aren't happy either. The Le Parc Suite Hotel is the third West Hollywood property LaSalle Hotel Properties has acquired, following its purchases of the Le Montrose Suite Hotel and the Grafton on Sunset. Billionaire developer Alan Casden has put three high-profile Beverly Hills office buildings on the market, including his company's headquarters. Digitrex brand LCD televisions, DVD players, set top boxes and home theater systems will begin to flood Circuit City stores this month. Well Fargo & Co. has become the first major California lender to directly offer home loans to illegal immigrants and foreign nationals as a result of its new pilot program in Los Angeles and Orange counties. The transplant scandal at the University of California at Irvine is turning into a cash cow for Greene, Broillet & Wheeler LLP. They thought they could do it better than Tenet Healthcare Corp. But the new owners of more than a dozen underperforming area hospitals that Tenet divested are finding the road harder than anticipated. More money was paid out in salaries across L.A. in 2004 by nearly 6 percent. That's in line with the national average, but less than the increases recorded in Orange County and the Inland Empire. Gov. Arnold Schwarzenegger didn't even pay lip service to tax credits for the film and TV production industry in the proposed state budget. Backers of legislation on the matter vowed to push forward. There is nearly $100 million worth of air sitting on top of the Convention Center, and developers want the financially strapped city to cash in on it. Independent CD stores will be forced to rely on stronger business models, largely depending on a small slice of enthusiasts to keep the cash registers humming. Hollywood's digital dawn, clouded for years by concerns about rollout costs, may finally be at hand as the nation's 36,000 movie screens begin to go change over. The supplements company goes after sponsorships of sports events as a tie-in to the concept of healthy living. California's manufacturing sector grew strongly in the fourth quarter and outperformed the nation, according to a quarterly index released Monday from Chapman University in Orange. Radio & Records Inc. is branching out to another area of the rapidly changing industry: digital distribution of music and other content to radio stations. VNU NV, the owner of the U.S. Nielsen television ratings, said it has received a buyout offer worth up to $8.87 billion from a group of private equity firms. Sir Digby Jones, director-general of the Confederation of British Industry, came to L.A. last week for meetings with entertainment and aerospace executives. The religious group that owns the landmark basketball arena in Inglewood wants to redevelop the site, and plans include the possibility of tearing down the building. Adlai Wertman left the world of high finance to dedicate himself to helping the homeless. Investors are bidding up shares of Warner Music Group in the hopes that its new strategy of pushing digital music buying over the Internet will offset sagging CD sales. Tom Barrack, chief executive of Colony Capital LLC, has created a new marketing twist: connecting Marina del Rey to the L.A. Art Scene of the 1960s. Arcelor trumped ThyssenKrupp's latest bid for Dofasco on Monday by raising its offer to C$71 per share, valuing the Canadian target at C$5.5 billion in one of Europe's fiercest takeover battles. The Iraqi Ministries of Foreign Affairs, Health, and Labor are installing software made by Long Beach's Laserfiche. Attorney Lawrence Silver used to make a good living representing injured workers, but his business dropped 30 percent thanks to workers' compensation reform. The new owners of more than a dozen underperforming area hospitals that Tenet Healthcare Corp. divested are finding the road to a turnaround harder than anticipated. Tyco International Ltd. unveiled plans to split into three publicly traded companies early next year, marking a break-up of the $61 billion conglomerate. Stocks were little changed Friday as a slowdown in retail sales and profit warnings from Lucent Technologies and Tyco International kept investors from building on earlier gains. Crude futures fell marginally on Friday, ending the week slightly lower, but the market continued to fret over the potential impact of Iran's nuclear ambitions. Macerich Co. and Arrowhead Research Corp. announce plans to sell shares of common stock, and Learning Tree International Inc. reports fourth-quarter breakeven earnings from a loss a year earlier. Abercrombie & Fitch Co. will pay more than 250 managers who worked for the casual apparel retailer's stores across California $2 million to settle charges it denied workers overtime pay. Soaring gas costs pushed inflation at the wholesale level up sharply in December, and retail sales posted a weaker-than-expected increase. General Motors Corp. said it is moving ahead with structural and material cost-cutting this year to staunch losses in North America as quickly as possible. L.A. gas prices spiked for the second consecutive week as speculators continued to bid up prices, expecting that they will rise even higher, said the Automobile Club of Southern California. The religious group that owns the Great Western Forum wants to redevelop the Inglewood landmark, and possibly even tear down the arena, to build housing and a shopping center. The hotelier's $1 billion "Re-ignition" campaign seeks to improve guests' experiences with enhancements to its properties, a new advertising campaign and partnerships with other companies. The number of people who could afford to purchase median-priced homes in L.A. fell sharply in November from a year ago and fell one percentage point from October, the California Association of Realtors said. Boeing Co. has agreed to pay $30 million to settle a lawsuit by Simi Valley residents who alleged that pollutants from a company lab caused them to get cancer. Oil prices rose Thursday amid market jitters over Iran's nuclear development and on traders' convictions that economic growth will cause energy consumption to rise. PierPASS announces its new TruckTag program, Lions Gate Entertainment and Starbucks partner to market and distribute the Santa Monica-based studio's new movie, and other briefs about L.A. companies. Viisage Technology Inc. said it would buy Identix Inc. for about $770 million, as it aims to win a greater slice of government spending on homeland security. Tenet Healthcare Corp., formerly an L.A.-area hospital owner, said Thursday it and two former officers agreed to pay $215 million to settle lawsuits accusing it of misleading investors on Medicare claims. Williams-Sonoma Inc. said it will close its Hold Everything stores by the end of the year to focus on its more profitable Pottery Barn and West Elm chains. The U.S. trade deficit improved in November but was still the third highest on record, and the number of Americans filing new claims for unemployment benefits rose by 17,000 last week. AEG and KB Home have partnered to finance and develop the 50-story Los Angeles Convention Center hotel that will be the key component of the new L.A. Live entertainment district near the Staples Center. Stocks posted their first big losses of 2006 as rising oil prices and downgrades of Coca-Cola and JPMorgan Chase prompted investors to take profits. Countrywide Financial Corp. said Wednesday that its mortgage volume rose 27 percent last month to $44 billion from a year earlier despite a feared downturn in the housing market. Crude futures resumed their upward march Wednesday, but a reported surge in U.S. inventories of gasoline and heating oil sent prices for those refined products lower. Stocks rose Wednesday after New York's Federal Reserve president said in a speech that core inflation is "quite moderate." Guitar Center Inc. says fourth-quarter comparable store sales at its Guitar Center stores increased 4.6 percent, Walt Disney Co. details the compensation of Michael Eisner and Robert Iger, and other briefs about L.A. companies. Apple Computer Inc. shares leapt to an all-time high Wednesday, boosted by its decision to use Intel Corp. microprocessors to grab a bigger share of the PC market. DuPont Co. said its fourth-quarter earnings will be well below its previous guidance, citing hurricanes, production disruptions and worse-than-expected performances in three businesses. Gemstar-TV Guide International Inc. on Wednesday said newsstand sales of the first 11 issues of the revamped TV Guide jumped 38 percent over the third-quarter's average weekly newsstand sales. Mortgage applications rose for the first time in five weeks as interest rates fell to their lowest level since October, spurring a surge in demand for home loans. A close aide to Kirk Kerkorian, the billionaire who is the biggest individual investor in General Motors Corp., on Tuesday urged the automaker to step up efforts to stanch its mounting financial losses. Stocks closed nearly flat Tuesday as disappointing earnings from Alcoa Inc. disturbed investors one day after the Dow closed above 11,000. Michael Eisner, former chief of the Walt Disney Co., will host a CNBC interview program that will air once every two months, the network said Tuesday. A Superior Court judge dismisses objections in lawsuit filed by city of Santa Monica and environmental groups, allowing 2,600 housing units to go forward. Oil prices rose after Iran removed seals on its nuclear research facilities, allowing work to resume despite warnings from Western countries concerned about stability in the Middle East. Confidence in the economy eased in January with some concern over rising home heating costs and still-strong gasoline prices, according to a survey. California's tax revenues are surging ahead of expectations, giving an election-year jolt to the state budget and providing more money for public schools, health services and higher education. Italy's Lottomatica SpA said it will offer $35 a share in cash for U.S.-based online lottery operator Gtech Holdings Corp., valuing the company at $4.8 billion. Home Depot Inc. said Tuesday it will buy Hughes Supply Inc., a distributor of construction, repair and maintenance products, for about $3.2 billion. Phelps Dodge Corp. slashed its fourth-quarter earnings outlook by more than 70 percent, hurt by its copper price hedging program and production and sales shortfalls of copper and molybdenum. California can now sue Pacific Gas & Electric Co. to recover billions the state's attorney general alleges were improperly transferred to parent PG & E; Corp. during the energy crisis, and other briefs about L.A. companies. Cathay General Bancorp on Tuesday submitted its first formal bid for Great Eastern Bank, offering $58.44 per share to acquire the five-branch community bank in New York. Hilton Hotels Chief Executive Stephen Bollenbach waited almost a decade for the $5.7 billion marriage of the U.S. company with its international counterpart, Hilton Group. It was a feat he was eager to pull off before his own retirement. Launched when VHS and Betamax were duking it out for supremacy, Video Business magazine is fighting to stay relevant in an age in which technology seems to be passing it by. Skechers USA Inc. on Monday said it now expects its fourth-quarter sales to be at the high end of its previously issued guidance of $210 million to $220 million, on par with analysts' estimates. CNOOC Ltd. is paying $2.3 billion for a 45 percent stake in a Nigerian oil field in its first major investment since its failed bid to take over Unocal Corp.
Enterprise software, customer relations management and aerospace designers will be in high demand this year by Southern California tech companies, according to Yoh Services LLC. Despite a dismal box office year in 2005, theater owners can take comfort in the continued increase in revenues generated by "pre-show advertising." Consumer borrowing fell in November for a second straight month, the first time that has occurred in more than 13 years, catching analysts by surprise. Fresh from the sale of teen clothier Rampage Clothing Co., turnaround specialist Buxbaum Group has set its sights on new targets. The Sherman Oaks Hospital is counting on an Indian-born doctor and a Birmingham, Ala., real estate investment trust to help keep it afloat. The Dow closed above 11,000 Monday for the first time since before 9/11, propelled by a five-day rally that has sent stocks soaring in 2006. The architecturally significant Oviatt and Fine Arts office buildings in downtown Los Angeles are included in a portfolio for sale that could fetch as much as $225 million. The makers of skin care line Brave Soldier are forsaking boutiques and returning to their athletic roots in a new marketing strategy. How did that sweater from Aunt Edna that you took back to the department store wind up at the swap meet? Chances are, Jacques Stambouli's Via Trading had a hand in the process. Ford has targeted two L.A. aftermarket manufacturers in a patent infringement case. General Electric Co. executives have taken initial steps to sell nearly a third of Universal Studios' backlot, a move that could result in construction of a large-scale residential complex. Things on the home front haven't been so sweet for KB Home Chairman and Chief Executive Bruce Karatz and Food Network personality Sandra Lee. Could Incentives Keep C-17s Aloft for Long Beach? Boeing and Long Beach officials are finalizing an incentive package they hope will spare the C-17 military cargo plane from budget cuts. Retail sales in L.A. rose by nearly 9 percent in 2004. The registers with the most robust growth were found in West Hollywood, Calabasas and Baldwin Park. The recent spate of incidents involving allegedly over-aggressive celebrity photographers has given rise to a new security sector, "paparazzi abatement." Even though she grew up on the Santa Barbara County ranch that was in her family for five generations, Stacy Gamble Shaw always knew she was a city girl. Mattel Inc.'s CEO Bob Eckert faces an uphill battle turning around sales of its Barbie brand at a time when video games and electronics are attracting children at younger ages. Eric Garcetti, the new president of the Los Angeles City Council, places priorities on traffic, transportation and housing issues. Kenneth Wong sees the consolidation in the department store sector as an opportunity for Westfield to rethink the concept of the mall. THQ Inc. became the first major U.S. game publisher to join the fast-growing in-game ad network Massive Inc. The average price of a gallon of self-serve regular gasoline in the Los Angeles area reversed 13 consecutive weeks of declines, rising 10.8 cents to $2.321 for the week ended Jan. 9. Cedars-Sinai Medical Center is set to open a $110 million critical care tower this month. Texas Instruments Inc. said Monday it is selling its sensors and controls business for $3 billion in cash to Bain Capital LLC, a private investment firm. Oil prices dropped below $64 a barrel Monday, as traders focused on warm weather in the United States, which is dampening demand for heating oil. Slowing sales are more evidence of a plateau in the regional market. Duke Energy Corp. said it would sell Duke Energy North America's power-generation assets outside the Midwest for $1.5 billion to LS Power Equity Partners. What happened to California's quest to be friendlier to business? Gov. Arnold Schwarzenegger unveils plan requiring all businesses to provide health coverage or pay into state fund. Individuals also would be under personal mandate to show insurance coverage. The extended gate-hours program at the ports of L.A. and Long Beach is more than a year ahead of schedule, with more than a million truck trips diverted from peak daytime traffic since July. Moody's Investors Service downgraded Hilton Hotels Corp.'s debt to junk bond status, citing its higher debt loads to pay for the $5.7 billion purchase of Hilton Group's international hotel operations. The popularity of flat-panel TVs and MP3 players during the holiday season translated into big December sales gains for Best Buy Co. and Circuit City Stores. Job growth slowed in December, with employers expanding payrolls by 108,000, underscoring the sometimes choppy path traveled by job seekers. Krispy Kreme Doughnuts Inc. said Friday it reached an agreement with L.A.-based Great Circle Family Foods to reinstate its license, one day after it terminated the license of its largest franchisee. L.A. gas prices began 2006 moving higher, and conditions indicate that rapid increases are likely in the next couple of weeks, said the Automobile Club of Southern California. Los Angeles County hotel occupancy and room rates rose in November compared to a year earlier as the local hospitality industry began the holiday season on a strong note. Mixed employment data helped Wall Street extend its rally Friday, as investors saw a slowdown in hiring as a precursor to the end of the Fed's rate hikes. Verizon Communications Inc. completed its $8.5 billion purchase of MCI Inc. on Friday, giving the big local phone company a national fiber-optic network and business-services unit. A U.S. Bankruptcy court judge on Friday dismissed a challenge to a $50 million settlement between UAL Corp. and Walt Disney Co., an agreement the airline's creditors had charged was too generous. Consumer confidence took a big hit in early January, falling to its lowest level in three months, dragged down by Americans' worries about the future. Natural gas futures fell sharply for the third consecutive day on Thursday after the government said inventories rose last week. Stocks extended their New Year's rally to a third session Thursday, edging higher in erratic trading as the tech sector rebounded. Hot Topic Inc. cut its fourth-quarter earnings outlook due to lower-than-expected same-store sales in the critical month of December, sending its stock sliding on Thursday. An overview of today's business stories. The nation's service sector grew more rapidly in December than in the previous month, an industry group reported Thursday. Ixia lowers its fourth-quarter revenue outlook and reports preliminary earnings that are below analysts' estimates, causing its shares to slump nearly 15 percent in after-hours trading, and other briefs about L.A. companies. Deep December discounts lured holiday shoppers and pushed sales slightly ahead of modest expectations, top U.S. retailers reported on Thursday. Krispy Kreme Doughnuts Inc. on Thursday said it terminated the license of its Southern California franchisee Great Circle Family Foods LLC because the franchisee was not paying royalties and other fees. Shares of Computer Sciences Corp. jumped after the Wall Street Journal reported Blackstone Group and Hewlett-Packard Co. are exploring a possible buyout of the El Segundo-based computer services company. Gov. Arnold Schwarzenegger on Thursday laid out a bold agenda for public investment in the state's highways, ports, water systems, hospitals and schools. The Southern California region received a failing grade for mobility and barely avoided failing marks in housing and education, according to the annual State of the Region Report Card issued Thursday. The number of workers filing new claims for unemployment aid plunged by an unexpectedly large 35,000 last week to the lowest level in five years. Sempra Energy on Wednesday announced a $677 million settlement of lawsuits brought by the states of California and Nevada and the cities of Long Beach and L.A. stemming from the 2000-2001 power crisis. Stocks rose for a second day on Wednesday, following the Fed's signal that it may be nearing the end of its streak of short-term interest rate hikes. Health Net Inc. on Thursday said it agreed to acquire the health plan assets of Long Beach-based Universal Care Inc., in a move that further consolidates managed-care insurers in the California market. Reliance Steel & Aluminum Co. purchases the rest of its subsidiary American Steel LLC that it did not already own from American Industries Inc., and other briefs about L.A. companies. Orders to U.S. factories posted the biggest gain in three months in November but the strength was concentrated in a surge in demand for commercial aircraft. Oil prices dropped below $63 a barrel Wednesday after rising more than $2 the previous day fueled in part by a Russian-Ukrainian natural gas price dispute. Insurance provider Aetna Inc. said Wednesday John W. Rowe will step down as CEO next month and named president Ronald A. Williams to replace him. In 2006, the L.A. area should see steady growth in housing production, with condominiums leading the way, and jobs gains in all sectors, the California Building Industry Association said on Wednesday. Thousands of businesses in the city of L.A. received a New Year's gift this week as their business taxes were either lowered or eliminated completely, L.A. Mayor Antonio Villaraigosa announced Wednesday. Chain store sales rose in the final week of December, as shoppers were drawn to stores to exchange gifts and hunt for bargains the day after Christmas. Mortgage applications fell for a fourth straight week as a robust rebound in loan refinancings failed to lift activity from more than a 3-1/2-year low. The average price of a gallon of self-serve regular gasoline in the Los Angeles area slipped for the thirteenth straight week, falling 4.4 cents to $2.213 for the week ended Jan. 2. Walt Disney Co. expands its programming on the iTunes music store, Technicolor Digital Cinema will install digital projection systems on Century Theatres Inc. screens, and other briefs about L.A. companies. Stocks rose Tuesday, with the Dow soaring nearly 130 points on signs the Fed is nearly done raising interest rates and by energy shares' gains. Keystone Automotive Industries Inc. said it's under investigation as part of a complaint made by Ford Motor Co. that certain collision replacement parts it manufactures infringe on Ford design patents. Oil shot up more than $2 after touching two-and-a-half month highs as consumers feared a row over Russia's natural gas price to Ukraine could crimp European supplies. Construction spending hit an all-time high in November, and the Institute for Supply Management's manufacturing index fell slightly to 54.2 last month. While disappointing December sales from Wal-Mart Stores Inc. dented investor sentiment on Tuesday, other retailers probably met modest forecasts for the biggest shopping month of the year. Germany's ThyssenKrupp AG raised its bid for Canadian steelmaker Dofasco Inc. to $4.2 billion, matching the latest competing offer from steel rival Arcelor SA. Tourists are expected to come to Los Angeles in record numbers this year and spend even more money in the area than they did in 2000, when the travel industry peaked before a post-9/11 slump. The past year's dismal box office doesn't appear to have cut into the studios' spending on the "for your consideration" ads in Hollywood trade magazines. Even as protracted battles rage, a consensus is forming on a way to maintain economic growth while curtailing pollution at the massive ports in L.A. and Long Beach. Outsourcing and cost cutting buoyed Guess Inc.'s shares more than 200 percent in 2005. The stock was among the best performing in Los Angeles. Law firms are expected to hike their fees to a record $800 to $950 per hour this year. That's up an average 5 percent, but down from the 10 percent to 20 percent increases of recent years. The sale of Arden Realty puts many pieces of key Los Angeles real estate into play. The Bolour family, a large property owner in Hollywood and the surrounding areas, has begun selling off much of its holdings. GameWorks is undergoing a major renovation by Sega Entertainment USA Inc., its Glendale-based owner, which will soon expand its lineup of 18 U.S. locations. ISold It Inc., an eBay drop-off store, recently raised $7.25 million in venture funding from Jacaranda Partners. Abgenix Inc.'s research mice, genetically altered to aid in the development of antibodies for humans, may prove mighty for Amgen Inc.'s bottom line. Fond memories of MTV inspired Roman Tsunder to found Access Retail Entertainment, which uses in-store TV networks to target 12- to 24-year-old shoppers. A flush economy drove merger and acquisition activity nationwide to the $1 trillion mark, and Los Angeles was in on the action, led by the new media and real estate sectors. Ralphs Grocery Co. prepares to fight charges that executives condoned the illegal rehiring of locked-out employees under fake names during the 2003-04 labor strike. After the latest design revisions, developers have increased the number of apartments and condos in the W project Hollywood's largest mixed-use development. Albert Cheng's long-term goal was to be in the entertainment business, so he came to Los Angeles. New rules on sexual harassment training and paying fired workers may be costly, but businesses generally got off easy on the new state laws. Supermarket representatives mull a legal appeal, saying that the city went too far with an ordinance requiring buyers of grocery stores to retain workers for 90 days. Shares of Los Angeles companies outpaced the broader averages, boosted by the strength of the local economy and other factors. First Went WellPoint, Then PacifiCare Is HealthNet the Next Takeover Target? The takeover of PacifiCare leaves only one major insurer HealthNet in the region. Will it be the next target? Their rye bread recipes aren't changing, but as French and New York establishments open their doors here, several of the city's Jewish bakeries are in transition. Putting a premium on efficiency, two-thirds of L.A.-based non-profit organizations reported spending 90 percent or more of their funds on programs and services. Gibson Dunn & Crutcher LLP plans to raise its annual salaries for first-year associates by $10,000, to $135,000, according to a source within the firm. Steve Hilton started in the family hotel business; now he's running the philanthropy efforts of the namesake foundation. What's there left to say for New Year prognosticators like yours truly? While the local print and television media continue to struggle with ad revenue, it's been a different story with radio.